Just stumbled over this mod today. 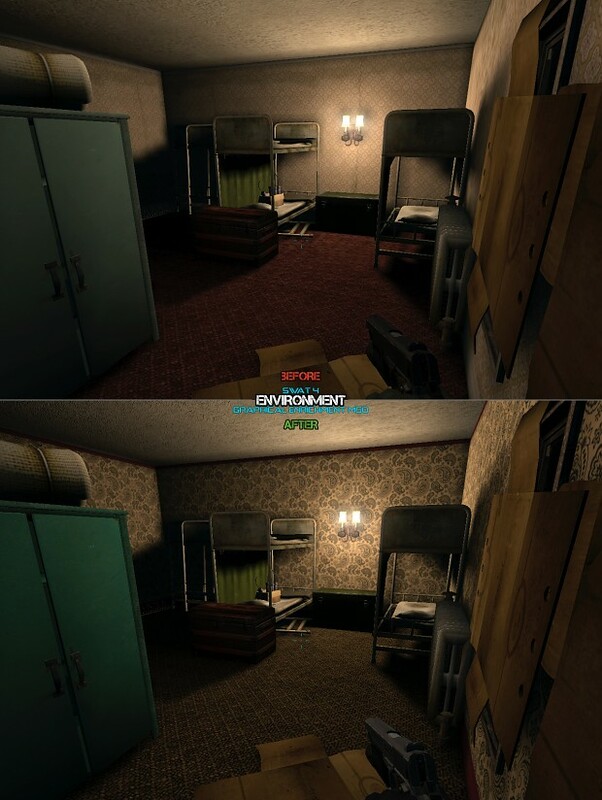 SWAT 4: Graphical Enrichment Mod (aka SWAT 4: GEM) is changing nearly all game textures, partly with enhanced originals, partly with hi-res variants. Still, it's not going to be any complete redesign but more like a polish to the original game. The engine remains the same, 3D models, animations, maps, weapons... everything is the same as in the original game. 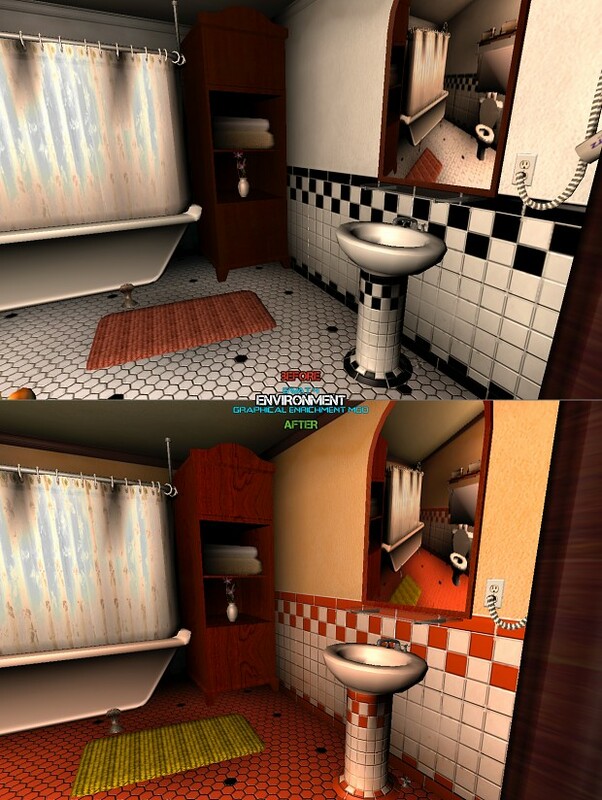 The only thing that is different is the textures and it's not possible to do miracles with that. You should expect the feeling from the mod to be close to the original game. But it’s going to be more polished, more sharpened, more optimized and balanced colors of the in-game textures with more details wherever deemed fit with some additional changes done where needed. I liked this mod until I saw the second screenshot. Those colours just don't gel with me.